The longer I live the more I realise that facts change nobody's mind. 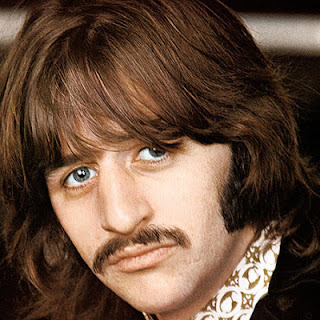 So I shouldn't have been surprised that my masterly analysis of Ringo's drumming abilities failed to persuade young Chuck, but I have to admit my first reaction was disappointment. "I had hoped for better from you, since you claim to be a musician," I tell him, as we share a beer on the hotel terrace at a Richmond wedding reception, overlooking the happy couple being photographed in the gardens beside the Thames. "I am a musician," he says. "Ringo was a lousy drummer to start with and he's not getting any better at the age of 100." "I guess anybody more than ten looks 100 to a half-formed foetus," I tell him. "When do you go up to the big school, son?" "I've been married three years," he tells me. "I'll be a father for the first time in August." "Well, that's great," I say. "You have to pass a test to drive a car. You need a licence to keep a dog. But anybody out of short trousers can grab a woman and bring a bunch of new kids into the world." "Quite right," he tells me, downing half his glass of stout and wiping the froth off his lips with the back of his hand. "But I wouldn't try grabbing at your age, grandpa. You'll sprain something. And you don't need dog licences now. They were abolished in 1987 because people weren't complying with the law." "Well that's impressive for a five-year-old," I say, shaking my head when the waiter offers to top up my tall glass with fizz. "So you're a legal expert now as well as a drums critic?" "It's what I do for a living," he says. "You're getting forgetful, pops." This isn't going at all well, I tell myself, playing for time by taking a long pull of my own pint, a Hogshead ale from the Cotswolds that the groom's father has provided. "Lovely," I say, smacking my lips. "Light and floral with peachy notes and a malty, caramel sweetness." He stares at me with mild distaste over his Guinness, then jerks his head in the direction of a table in the corner, jam-packed with legs, heels and fancy fascinators. "You might want to move to the girls' table," he says. "This one's for real men." "I can see that," I say. "But not real musicians. The top drums magazine had a poll to find the 50 greatest drummers of all time. Where do you think Ringo came?" "Fifteenth," I tell him. "Just behind Ginger Baker and well ahead of guys like Steve Gadd, Vinnie Colaiuta and Gene Krupa. That's a vote by drummers for drummers. Guys who know what they're talking about. Not infants who drink Guinness so people won't notice the name-tags stitched in their collars." Photos finished, the bride and groom climb the stone stairs from the garden and glide past us, headed for their honeymoon. "That was a great wedding," I say, draining my glass. "I've enjoyed our chat, young Chuck, but it must be well past your bed-time." "I've got a few more minutes," he says, reaching round to get his jacket from the back of the chair. "Let me find your zimmer frame and take you across the road." "I'll manage, sonny," I say. "Give me a call when you're tucked in and I'll come and read you a bed-time story." "I'll look forward to that, gramps," he says, standing up and stretching. "Just as long as it's not Thomas the Tank Engine."